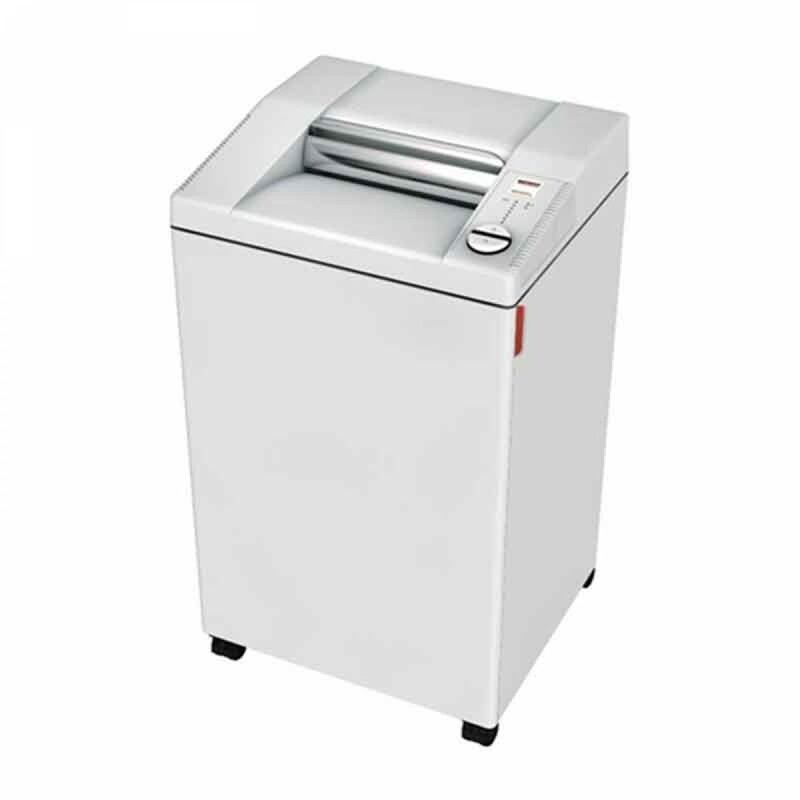 The MBM 2503 Series Destroyit Paper Shredder saves time and money. Comprehensive SPS safety package: Easy Switch control element uses illuminated color codes and symbols to indicate operational status and functions as an emergency stop switch; patented, electronically controlled, transparent safety shield in the feed opening; automatic power cut-off when cabinet is opened or shred bin is full; automatic reverse and power cut-off when overfed; double protection against overheating; Zero Energy Consumption sleep mode cuts off power supply after 30 minutes of inactivity. Automatic start and stop controlled by photo cell. 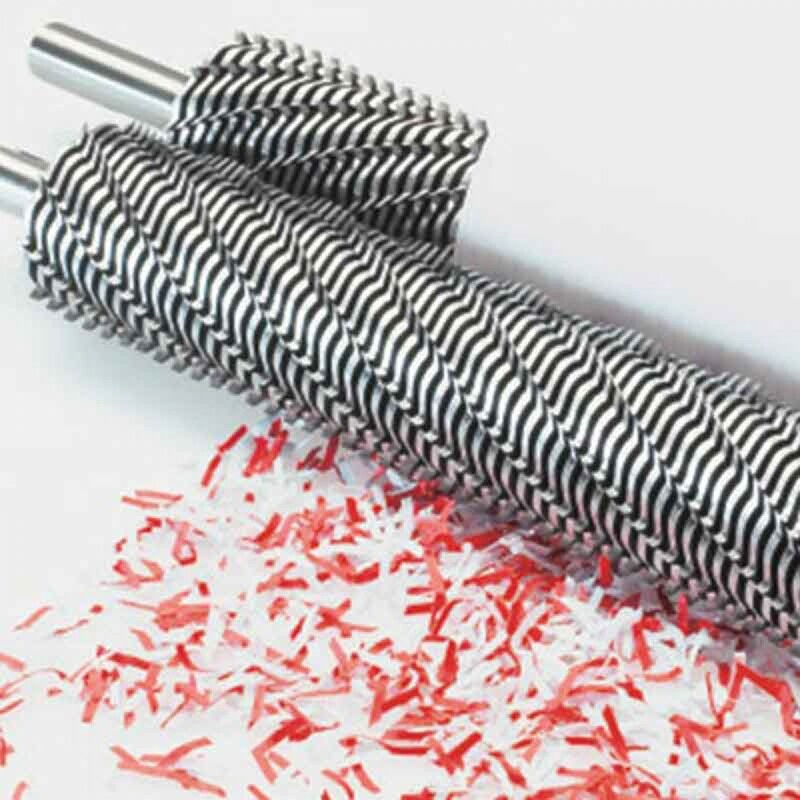 High quality, hardened steel cutting shafts take staples, paper clips, and credit cards (strip and cross-cut models). Super micro-cut model meets all NSA/CSS specifications and is DOD approved. Lifetime warranty on the cutting shafts (strip and cross-cut models). 1 year warranty on super micro-cut cutting shafts. Quiet and powerful single phase motor. Fully enclosed gear box housing. High quality wooden cabinet mounted on casters. 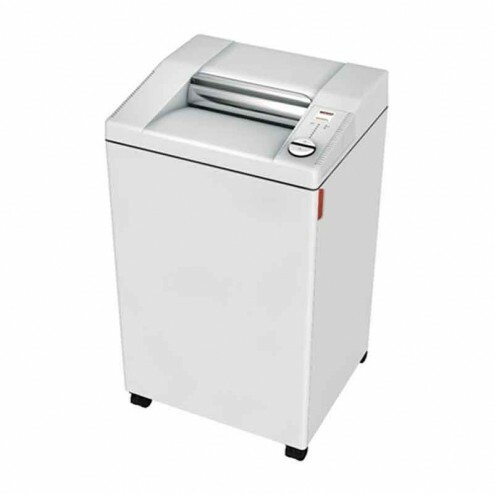 Convenient, environmentally friendly shred bin does not require disposable shred bags.